In need of checking your writing for any plagiarized work? You’ve got some work done for you and need to ensure that the work done is an original work? Are you outsourcing your work from another writing similar to your writing but in need to avoid plagiarizing? Then you are in the right place. In writing, plagiarism is one of the most prohibited acts since one usually copies another person’s work. Here I am going to introduce you to some 5 best plagiarism checker tools that are going to assist you in avoiding any plagiarism and noticing any plagiarized work. This is a plagiarism checker tool that can be easily be added to your Internet searching tool majorly supported by the Chrome application. It is an automatic checker tool that normally crosschecks the text to be checked in more than eight billion website pages making it very efficient. This checker normally checks the texts, detects the passages that have been plagiarized and after noting the plagiarized passages, it highlights those texts that have been published on other webs previously. Apart from providing plagiarism check, Grammarly also can be used to generate a citation for your work in form of MLA, Chicago, and APA referencing styles. This will, in addition, assist in referencing work that has been copied. This checker tool can also be used in checking mistakes in the text on the grammar, spelling mistakes and punctuation mistakes and omissions. You can check a detailed Grammarly review here. This plagiarism checker tool is very effective in that it can be downloaded or one can add it in the google chrome in which it will highlight the texts input in the site. This is one of the top plagiarism checker tools with it being precise in plagiarism checking. It is a free plagiarism checker used in detecting copies of one’s web pages while online. This plagiarism checker tool will provide you with a comparison feature. This feature will enable you to compare different contents through copy-pasting the URLs in the Copyscape plagiarism checker. In addition to this, the plagiarism checker tool becomes much efficient in allowing for one-time plagiarism detection for up to 10000 pages. It also contains a Copyscape Premium that is at a charge but this service offers extra features compared to the free Copyscape service that includes; case tracking, batch search, private index and a checking the originality of the copy-paste. 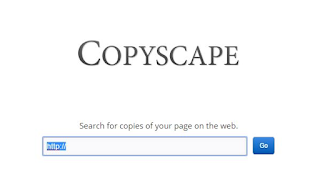 You may like to read these Copyscape alternatives as well. This tool also offers the protection for one’s website through the daily and weekly scan on your web in which in addition they email the owner on copies found on the owner’s content. In addition this, this tool will also warn any plagiarist from stealing the content on your website through Plagiarism Warning Banners. 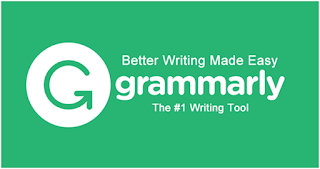 This is similar to Grammarly which does not only assist in plagiarism checking but also in the grammar of the writer. This plagiarism checker tool offers the user with features such as vocabulary builder, instructions on writing, spelling and grammar check and the main feature that is plagiarism detection. This tool enables the user to give a feedback to the persons who had written the texts e.g. students making it more effective for use by professionals such as lecturers on identifying plagiarized texts on academic work. This tool compares one text with other over 10 billion written texts, proofreads the texts while giving suggestions for the mistakes on grammar and spelling mistakes on the texts written. These services offered by this tool, therefore, make it one of the best-preferred plagiarism check tool. This tool normally offers a copy and pasting service which then compares the written text with other written texts, contents and articles in the web. This tool provides free service but also contain a paid premium version which has more services in addition to it. It provides plagiarism check for a text of up to 1000 words which can be copied and pasted from the plagiarism check. In addition, this tool also provides for grammar checker in which one clicks on whether they require checking the plagiarism or whether they are checking the grammar. This, therefore, makes it one of the best plagiarism checker tool. It provides the results in percentages in which one knows on the percentage of plagiarism and the percentage of uniqueness. After the plagiarism check, one can download the report containing the results of the search. This is one of the best free plagiarism checker tools which enables the user to copy and paste their texts in an empty box provided which after inserting the text, the tool then searches for any plagiarized work in the copy-pasted text. However, this checker contains a limit of the words that one can check that contain 1000 words. In addition, one can check the grammar on the mistakes and the omissions on the text. In conclusion, having plagiarism is a very dangerous act of writing, with the above plagiarism checker tools one will be assured of having perfect writing with a completely original content. Due to the increased number of writing in the web pages, one might find him/herself having a similar wording with other writing that might, therefore, be termed as plagiarism. This, therefore, makes the use of plagiarism checker tools very significant in writing. The above top 5 best plagiarism checker tools have an addition to the services provide apart from offering plagiarism check only making them more beneficial compared to other plagiarism checker tools. Message: I hope that you have enjoyed 'Plagiarism Checkers Review: Let`s Choose the Best Plagiarism Detector Tool' article on Tips2secure. However, if you want me to deliver more items, then please share my post. You can use Social Sharing Widget provided at the end of every post. After all, Sharing is Caring!